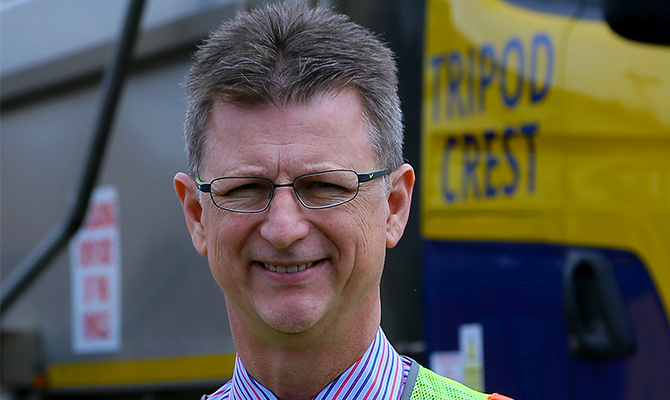 Dave Lawrence has joined Tripod Crest as group estimating manager. With responsibilities across all businesses, Dave is a champion of best practice, innovation and delivering the highest possible standards of service to our customers. Dave started his career as a management trainee with Tarmac in 1989 and graduated with a BEng degree in quarry and road surface engineering. Having made a career in the industry, he has spent significant periods with Tarmac/Tilcon and, most recently, Amey. Dave worked as a surfacing supervisor in his early career before moving into sales and estimating, and then into management, so he brings significant operational as well as commercial expertise. He is a highly regarded professional with an excellent reputation. Along with the rest of the commercial team, Dave is committed to ensuring that the company consistently performs as a trusted and reliable partner. Dave actually worked with Eugene McTaggart and the Tripod team back in 1990, on the construction of the M40, so his knowledge of the motorway network really does cover many years!